Fire Station One is one of three stations that are part of the city’s fire services that date back to 1917, when it had its first chemical fire truck. The building also features an administrative office. There is a non-mandatory pre-bid conference scheduled Nov. 16. Bids are due by Dec. 6. 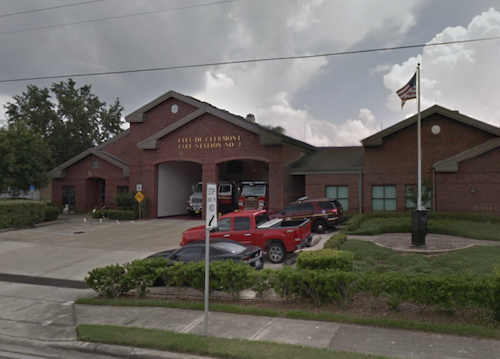 The awarded contractor is responsible for the labor, materials and equipment for the exterior coating of Fire Station One. The project will involve various cleaning, surface preparation, repair, caulking, sealing and painting. When completing the project, the contractor must first pressure-wash all exterior brick surfaces of the station. Following this, the contractor is also to prepare stucco surfaces on the front of the station only. Various cementitious surfaces of concrete, concrete block, cement plaster/stucco and cement-based boards are to be cleaned of all chalk, dust, dirt and grease prior to coating. Once surfaces have been cleaned, the contractor is responsible for taking proper tests to determine the alkalinity and moisture content. If any surface exceeds the moisture content permitted in the manufacturer’s printed directions, it is not to be painted until corrected. Any surfaces that still appear chalky after receiving pressure-wash treatments and coating preparations, is to be given one coat of a waterproof sealer. Openings and surfaces where water could enter the exterior surfaces are to be sealed with an elastomeric-type caulk, patching materials or a urethane caulk to prevent moisture. After all repairs have been made, the contractor is to protect all working areas by suitable covering or choice methods during the painting process. Trim on the southern exposure (back side) of the building is to be coated with a dark-colored paint, on both the first- and second-story levels, including walkthrough and bay doors. Other specified surfaces are to receive an elastomeric paint in accordance with the manufacturer's direction. Additional coats are to be applied once all other coats have dried and the finish appears to be uniform. The City of Clermont Project Manager and Sherwin-Williams representative, or anequivalent, are to sign off on the required inspections after completion. This project is to be completed within 45 calendar days from the Issuance of Purchase Order or the Notice to Proceed has been received. A minimum five-year exterior paint and one-year labor warranty shall be provided by the paint manufacturer. The owner-approved brand is Sherwin-Williams or an equivalent.